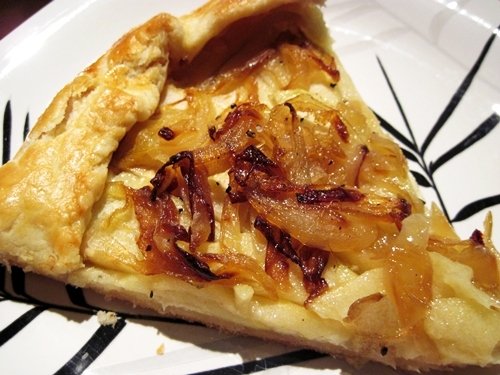 This entry was posted in vegetarian and tagged apples, cheddar, cheese, goat cheese, onions. Bookmark the permalink. What a delightful tart! 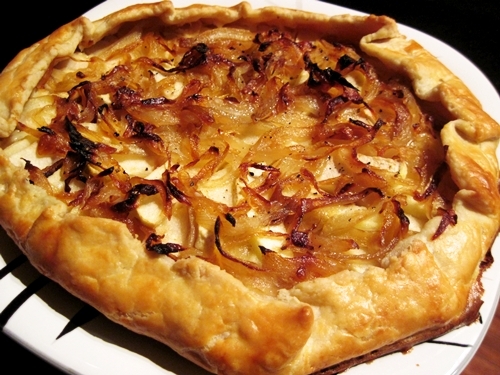 The combination of apple, onion and goat cheese is enticing! Just one egg and one tablespoon of milk or water will do. Let me know how it turns out! What size of tart does this make ?